Your sts can revise the use of the passive voice. There are four tasks. 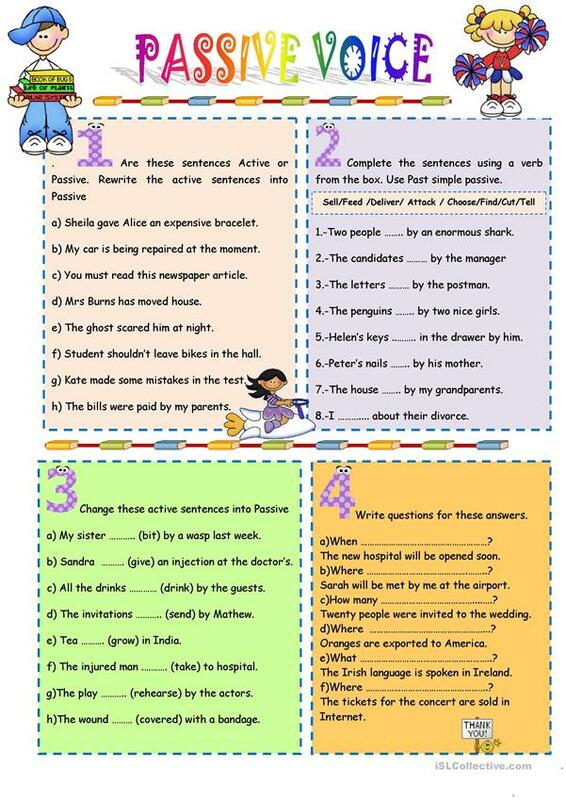 Transform active into passive, write questions and complete sentences using verbs given. I hope you like it. Thanks for everyone!! The above downloadable teaching material is a great resource for high school students and adults at Pre-intermediate (A2) and Intermediate (B1) level. It is aimed at teaching Passive voice or active voice in English, and is a valuable material for working on your learners' Reading and Writing skills.